Cabseal started its journey in 1994-95 with a vision to offer quality and reliable cable terminations and Joint to various utilities. More than 10,00,000 ‘Cabseal’ Cable Jointing Kits in service. Cabseal awarded with prestigious ISO certification with 9001:2015 version for Design, Development, Manufacturing & Supply of their product range,” Cabseal Cable Jointing Kits ” by internationally acknowledged accreditation body. Our technical service engineers are available for after sale service & training at customer end. Customer Satisfaction has always been and continue to be, the primary goal of Cabseal. The network of our sales and after sales services, is backed and supported by our expert team of highly qualified marketing, field engineers and team of well experienced cable jointers that are spread throughout the country. 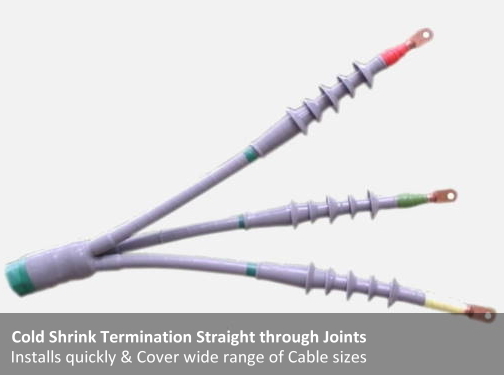 Cabseal, one of the leading manufacturers of cable jointing kits, started its journey in 1994-95 with a vision to offer quality and reliable cable terminations and Joint to various utilities. 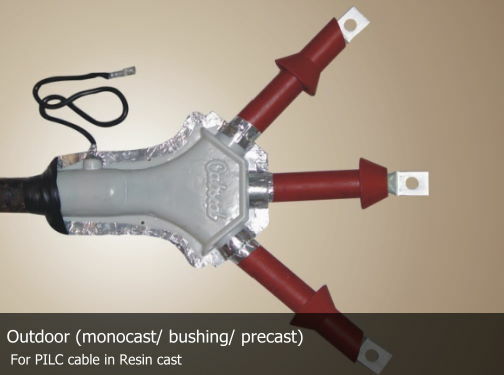 More than 10,00,000 ‘Cabseal‘ Cable Jointing Kits have been in service in India & abroad. 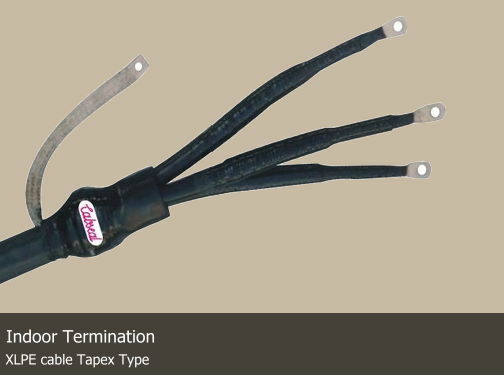 We are a leading manufacturer of cable jointing kits for the supply of Resin Cast ,Tapex Type & Heat Shrinkable Type Terminations & Straight through joints from 1.1 Kv upto 66 Kv PVC / PILC / XLPE / Arial Bunched Cables to the customer satisfaction. 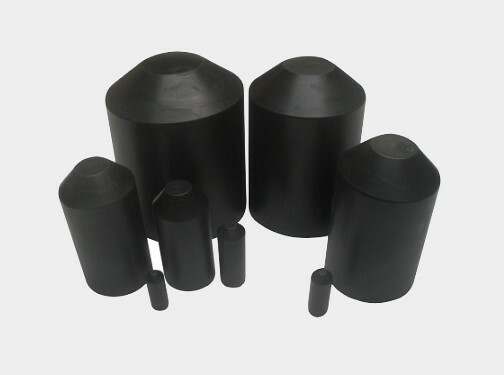 In this glorious journey Cabseal provides upto the mark quality product to various S.E.B’S, Railway Coalmines, Steel factories, Military organization, Oil sectors, Air ports, Ship yards and Hi-tech projects. Cabseal started its journey in 1994-95 with a vision to offer quality and reliable cable terminations and Joint to various utilities. 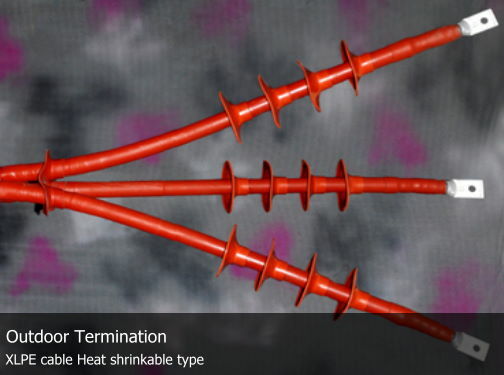 More than 10,00,000 ‘Cabseal‘ Cable Jointing Kits have been in service in India & abroad. 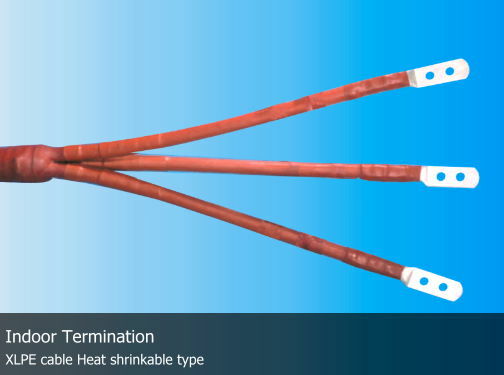 We are a leading manufacturer for the supply of Resin Cast ,Tapex Type & Heat Shrinkable Type Terminations & Straight through joints from 1.1 Kv upto 66 Kv PVC / PILC / XLPE / Arial Bunched Cables to the customer satisfaction. Cabseal achieved its goals with in house well-equipped test lab and continuous testing of products at Internationally acclaimed & acknowledged Central Power Research Institute India. With global competition knocking at our doors, it was quite natural for us to coin our mission – developing Indian industry for global superiority. We had set upon us a task to service and advise Indian trade & industry. Cabseal aims to provide full value to its clients in any business and activity. 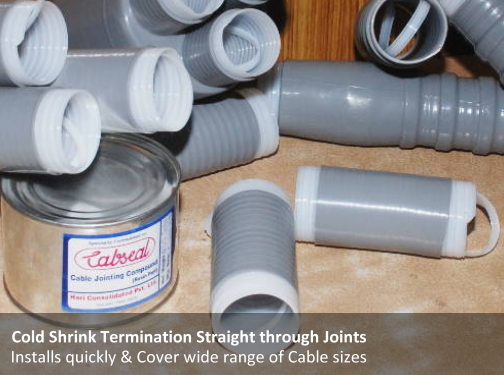 Customer satisfaction was another vision and that is still a backbone of Cabseal in becoming leading manufacturers of cable jointing kits. 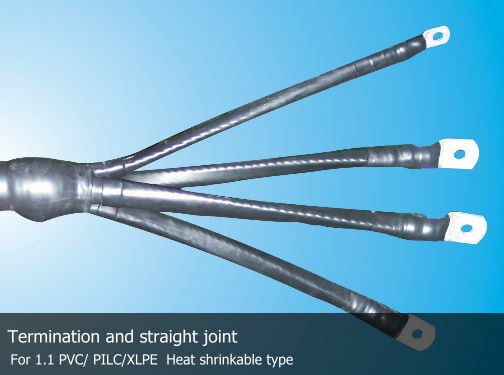 More than 10,00,000 ‘Cabseal‘ Cable Jointing Kits have been in service in India & abroad. 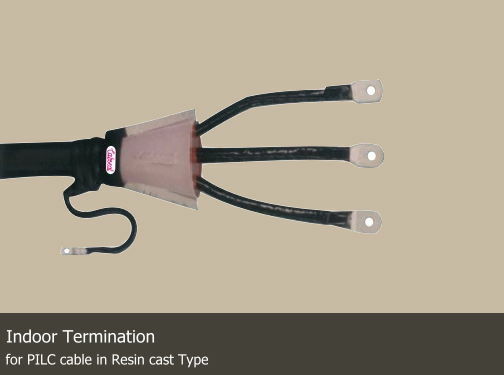 We are a leading manufacturer for the supply of Resin Cast ,Tapex Type & Heat Shrinkable Type Terminations & Straight through joints from 1.1 Kv upto 66 Kv PVC / PILC / XLPE / Arial Bunched Cables to the customer satisfaction. Used in switch gear and transformer boxes where air clearances between power cable terminations are insufficient to withstand surges induced during working life or to protect against flash. 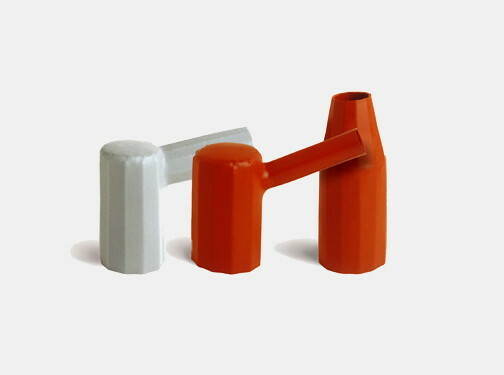 Heat shrinkable cable end cap in X-linked polyolefin with adhesive coating suitable for power or telephone cable end sealing. The creepage extension caps are internally coated with water resistant mastic.